When Life Gives You Lemons…Make Lemon Rice! Several years ago when we landscaped our backyard, we planted a Meyer lemon tree. At first it was just a small sapling, and it didn’t produce much, if any, fruit for the first couple of years. After that we got a nice haul from the tree each year, which we shared with family and friends, but we didn’t have so many that we didn’t know what to do with them. Until this year. This was only half of the second haul of the season! I have given bags of lemons away to friends and family, juiced lemons equalling about a gallon of juice (which I then made into lemonade, added to some mineral water for a refreshing drink, or froze in ice cube trays for later use), and made various dishes with lemon juice, zest, or whole lemons. The hard part is, I don’t like the taste of lemon very much. 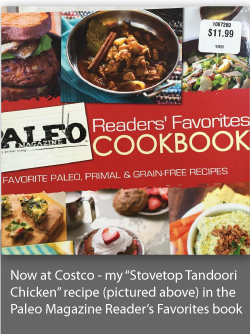 Then I remembered that B’s auntie (the same auntie that taught me to make Stovetop Tandoori Chicken) makes a dish that is lemony and delicious. Lemon Rice! 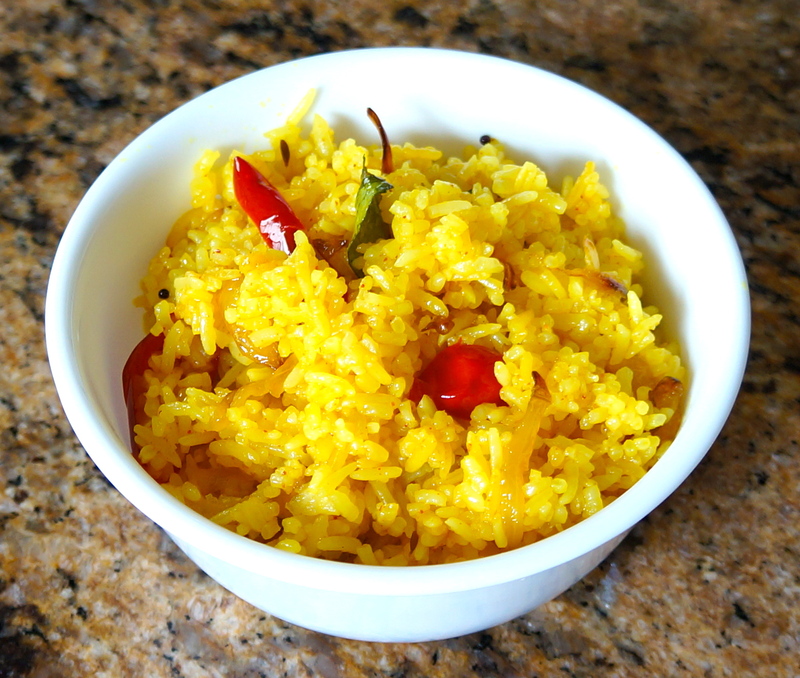 This is a great Indian side dish and makes use of leftover rice. Double win! *You might need more or less juice depending on the size and variety of your lemons. 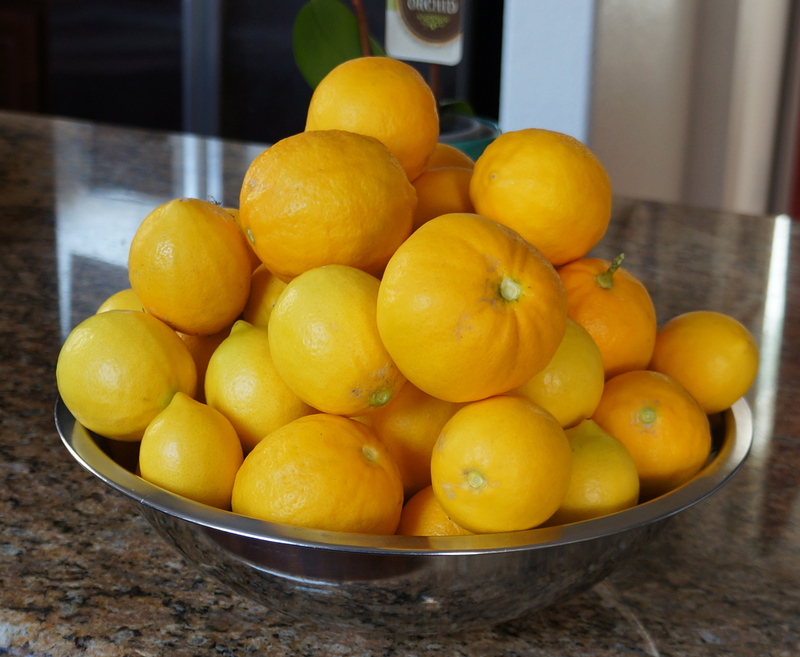 Meyer lemons tend to be a bit sweeter, while most store-bought lemons are more tart. Adjust to your taste preferences. Heat 2 Tbsp. of ghee in a large nonstick skillet. When it is hot, add the jeera mix and let it pop. Then add the onions and cook for a few minutes. Add the curry leaves, fresh mircha, garlic and a little sea salt. Stir well and cook until the onions are soft. Add haldi and ground mircha; stir well. Then add a few tablespoons of the lemon juice to make a sauce. Add the rice and mix well, breaking up any large pieces so that the individual grains are separated and coated with the lemon sauce. If it seems too dry, add a little more ghee to the pan and stir to combine. Taste and add more lemon juice and/or sea salt until it tastes good to you. This is very individual! It should be sour and flavorful, but not overly tart (unless you like it that way). If you are adding cilantro, stir it in when the rice is done cooking. Enjoy!